According to Forbes, last year, it was estimated that Millennials in the US alone, would spend US$200 billion. By 2018, Millennials will have the most spending power of any generation. Any marketer worth their salt would be looking to effectively reach the Millennials as this demographic is a priority for emerging and established brands alike. But how do we successfully engage them? Here’s where marketers need to analyse and understand this audience segment methodically before reaching out to them. How do Millennials spend their time? Millennials were the first generation to grow up in the digital age and Singaporean Millennials are no different. Our research reveals that they spend an average of approximately 146 minutes online everyday, with the younger group aged 15 to 24 spending more time, at 159 minutes, compared to the 25 to 34 year olds’ 128 minutes. Overall, Millennials’ main activities revolve around communication (21 minutes), social networking (24 minutes) and consuming media content (39 minutes). These three activities occupy more than half of their time online (57%, 84 minutes per day). One might think that these numbers would significantly increase when Millennials are not at work. However, the difference is marginal, with younger Millennials aged 15 to 24 spending 157 minutes online on weekdays versus 166 minutes on weekends, while older Millennials in the age bracket of 25 to 34, spend 128 minutes on weekdays and 129 minutes on weekends. Overall, it is notable that Millennials spend five minutes less (22 minutes versus 17 minutes) communicating on weekends – a decrease one might attribute to work-related messages perhaps? Apart from spending time online, Millennials are also consuming content offline; although to a lesser extent compared to the general population. While the average individual indulges in around 117 minutes of TV viewing a day, Millennials only spend 65 minutes. Even then, the younger Millennials aged 15 to 24 watch only 59 minutes of TV, compared to the 71 minutes of daily viewing by the older Millennials (25 to 34). As you would have imagined, the top three apps used by Millennials aged 15 to 24 are YouTube (34%), WhatsApp (14%) and Instagram (9%). Older Millennials aged 25 to 34 spend most of their time on YouTube (17%), Facebook (15%) and WhatsApp (13%). Overall, Millennials aged 15 to 34 spend a third of their total time online (51 minutes) on these apps. Our research shows that a significant number of Millennials also use apps such as Twitter and Telegram. Ranked amongst the top 10 most popular apps of that generation, they are notably absent from other market segments. 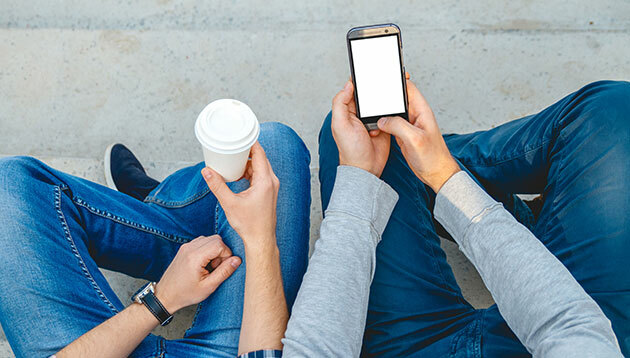 It’s highly possible that Millennials are using Twitter to stay abreast of global news, while they rely on Telegram to communicate with co-workers and share team updates as social and work collaboration continue to gain traction. When it comes to marketing, it’s often tempting to lump Millennials together as one homogeneous group of people. This might work for generic campaigns, but for more effective results, finesse in targeting is required. Here’s a thought: the age of Millennials today can range anywhere from 15 to 35. Obviously, life experiences and media preferences at both ends can be vastly different. That means it is important for brands to identify the exact Millennial type they wish to target, and conduct in-depth research to understand their specific digital usage pattern and purchase journey. It is also crucial to engage Millennials leveraging a broad range of channels, especially social media, as they are digitally savvy and rely heavily on word-of-mouth and peer influence to make purchase decisions. Based on our research, as majority of Millennials spend time on YouTube and Facebook, brands that focus on improving user experience on these channels, will easily connect with them. Some simple yet effective methods include implementing intuitive engagement, making it user friendly for audiences in terms of design and navigation, and providing closed captioning on videos so it is easier for consumers to watch and understand videos without sound. With research intelligence on consumer behaviour, brands will be better equipped to develop effective marketing strategies and relevant content to increase brand awareness and purchase intent. For example, as part of our 360° shopper insights, we focus on five key principles to conquer today’s connected shopper. The five principles include identifying and anticipating future consumer needs, converting consumers into browsers, turning browsers into buyers, filling buyers’ shopping baskets and maximising sales, and finally; fine-tuning and optimising cross-channel pricing, assortment and promotion balance for brands. With customer-centric insights on aspects that consumers seek and enjoy, brands can address the various touchpoints across the customer journey to drive loyalty and create lasting emotional connections. There’s no denying that the digital age has paved the need for omni channel marketing, which in turn has transformed the retail landscape. As consumers are always connected, social media channels are a significant force in the consumer marketplace. As the Singapore population is enroute to becoming hyper-informed consumers, brands that get the user experience right and innovate with the new generation in mind, will enjoy customer satisfaction and loyalty. The writer is Lee Risk, commercial director for Media at GfK Asia. This comes as Instagram’s global community hits the one billion mark. ..